Animal Defenders International (ADI) and ARAN of Ireland, have condemned the risk to public safety due to the inadequate facilities and animal management at Courtney Brothers Circus in Cork, Ireland. An elephant escape from the circus just days ago has today been followed by en even more serious incident in which a trainer has been hospitalised and could have been killed. Circus trainers attempted to break up a fight between two elephants and one of the trainers was crushed. 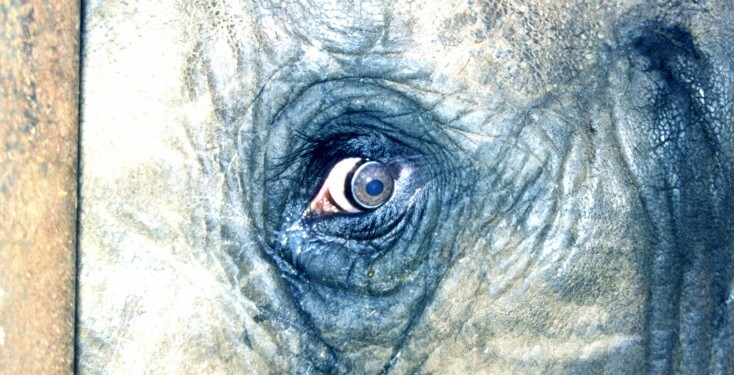 Jim Conway, general manager of Courtney Brothers Circus, told the Irish Times: “As far as I have been told, two elephants were jostling outside the circus and a trainer happened to be in the wrong place at the wrong time.” The circus was unable to confirm which elephant crushed the trainer. ADI and ARAN are urging the authorities to confiscate the animals and have offered to help with relocation to a sanctuary. On Friday, experts including field researchers, zoos, scientists, and animal protectionists attending the Summit for Elephants in California issued a statement calling for an end to the use of elephants in travelling circuses. Delegates to the Summit for Elephants in Oakland, California, urged that steps be taken to end the use of elephants in travelling circuses in the interests of protection of the welfare of these wild and magnificent animals, and in the interests of public safety. John Carmody of Ireland Animal Rights Action Network (ARAN): “With the frantic images of the elephant trying to escape on Tuesday from the circus hitting households everywhere, people across our nation are finally realising that circuses with animals have no place in Irish society. The writing is finally on the walls for those still clinging onto a future of animal-acts, and now people realise that we must bring these outdated establishments to a long awaited end.”Over 20 countries have some form of ban on the use of wild animals in circuses with several others including the USA, UK, and Brazil considering bans. The sooner animals are banned from circuses the better, it is no place for any animal. I bet those elephants get a right beating after this episode and I bet the one that took an excursion across the car park the other day got beaten when it was returned. Elephant beatings in circuses is common place. I don’t know what it is about man v elephants in circuses but elephants seem to bring out the cowardly bully in man. It is such a shame for these very compassionate gentle giants. Shame on circuses.